The outdoor recreational industry contributed toward two percent of the U.S. GDP in 2016, according to a preliminary report the Bureau of Economic Analysis (BEA) released Wednesday. It’s the bureau’s first attempt to analyze this economic sector, and it points to the surprisingly large contribution of hunting, festivals, and countless other outdoor activities to the American economy. Indeed, 2 percent amounted to nearly $374 billion in 2016. That’s enough money to fund the Department of Interior 27 times over. And this economy is growing at a faster rate than the general U.S. economy. It grew 3.8 percent in 2016 whereas the overall economy saw just a 2.8 percent rise. These statistics follow the bipartisan Outdoor Recreation Jobs and Economic Impact Act of 2016 former President Barack Obama signed into law that, mandated the bureau to look at the numbers. The Outdoor Industry Association has been publishing its own report for more than 10 years, and it calculates the industry’s worth more around $887 billion. That’s more than double what the federal government has estimated. The association sees the difference due to the different methodology methods used; the federal government didn’t measure travel expenses or trips 50 miles or less from home, whereas the association does, reports Outside Magazine. Now, this data exists from a government source, rather than a potentially biased private entity. With data on this industry available, lawmakers should have no excuse for not measuring the impacts of extraction and other land use on public lands, said Matt Lee-Ashley, senior director of environmental strategy and communications at the Center for American Progress, to Earther. After all, as he pointed out, the mining industry (which includes oil and gas) amounted to just $260 billion in 2016. Outdoor recreation wins in that aspect. “This data now shows that public lands provide many more benefits than simply the oil and the minerals that come out of them,” he told Earther. 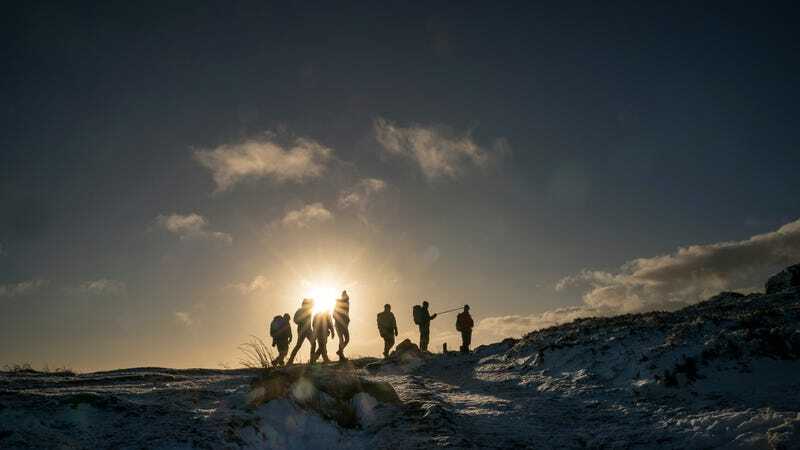 The preliminary report, which welcomes public feedback on the data methods and sources, offers some interesting highlights about outdoor recreation. Retail trade brings in the most bank among specific industries within outdoor rec. And motorized vehicles brought in the most amount of money (almost $60 billion) out of all conventional outdoor activities, including cycling or hiking. Interestingly enough, the use of ATVs and RVs in San Juan County, Utah, where the Bears Ears National Monument existed when it still was a national monument, has become a major debate point around the use of public lands. Some want to use their vehicles freely, but others want to see as little as possible of these vehicles out of concern that they can damage the landscape. Despite what anyone wants, though, visitors might soon be discouraged from entering some of the most special outdoor recreation areas in the U.S.—aka our national parks. The Department of Interior wants to raise peak-season entrance fees starting this summer. Fingers crossed that next year’s federal economic report will analyze what impact that has on the outdoor recreation industry.